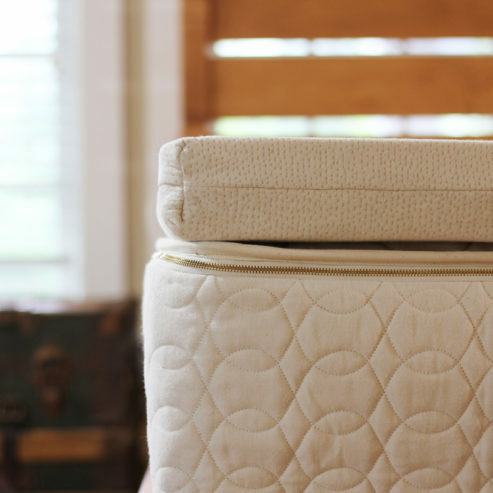 Our Vitality Natural Talalay Latex Topper by Savvy Rest is a great addition for those who like Memory Foam but without all the harsh chemicals. This is a soft natural Talalay latex pad encased in an organic cotton knit. Add this topper beneath your wool bed or on top of your existing mattress. Our Savvy Rest Vitality Latex Mattress Topper can be used as a top layer to your existing mattress or can be used in combination with the Wool Bed. Placing a latex topper underneath a wool bed can add the buoyancy that the wool fiber is lacking which ultimately adds more “give”. 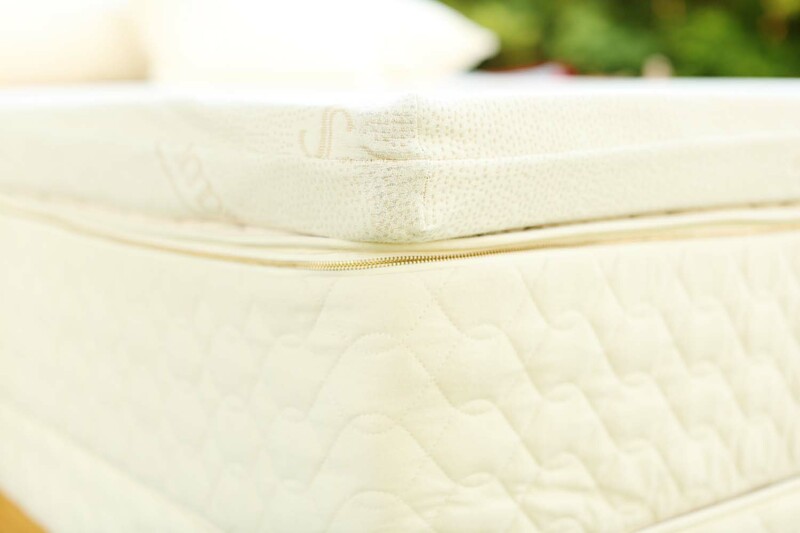 What are the benefits of Talalay? Savvy Rest uses Cradle to Cradle Gold-certified Vita Talalay latex in our mattresses, toppers, pillows, and sofas. This certification means it has met rigorous standards of material purity and environmentally-friendly manufacturing practices. This soft natural Talalay latex topper adds a luxuriously plush feel to your mattress. Talalay is especially wonderful for side sleepers since it’s known for gently cradling the hips and relieving pressure. If you feel your mattress is too firm, or you’re someone who experiences shoulder or hip pain, adding the Vitality to your sleep experience can make all the difference. How Does Talalay Latex Compare to Memory Foam? Talalay latex has that same responsive feel as memory foam but without the synthetic materials and harmful off-gassing. Talalay is also more breathable and durable than memory foam.